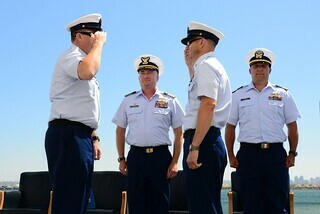 SAN DIEGO — U.S. Coast Guard Cutters Petrel and Sea Otter received new officers-in-charge during a unique dual change-of-command ceremony held in San Diego Thursday morning. 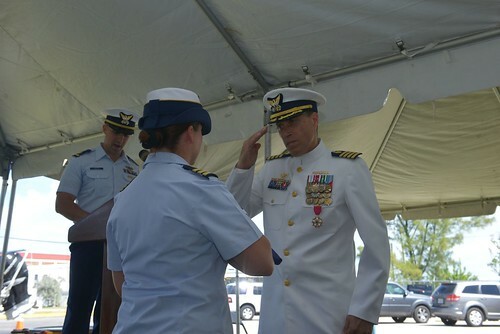 During the ceremony, command of the Coast Guard Cutter Petrel was transferred from Master Chief Petty Officer Christopher Swiatek to Master Chief Petty Officer John Bowen. 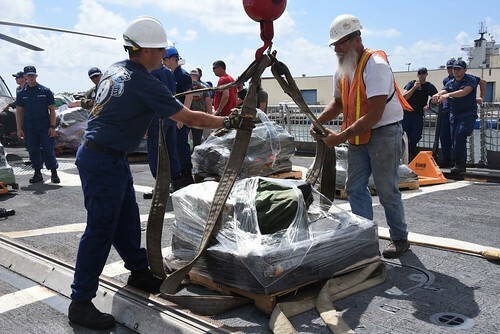 Command of the Coast Guard Cutter Sea Otter was transferred from Bowen to Swiatek. Capt. 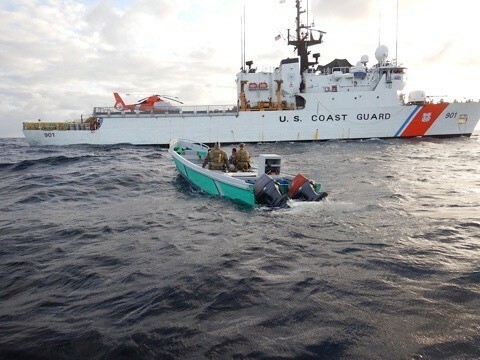 Sean Mahoney, commander of Coast Guard Sector San Diego, and Lt. Cmdr. 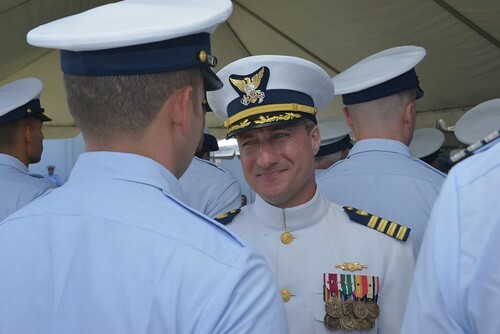 Jeff Parks, the chaplain for Sector, look on as Master Chief Petty Officers John Bowen (left), and Chris Swiatek swap command during a change of command ceremony at Naval Base Point Loma, July 10, 2014. 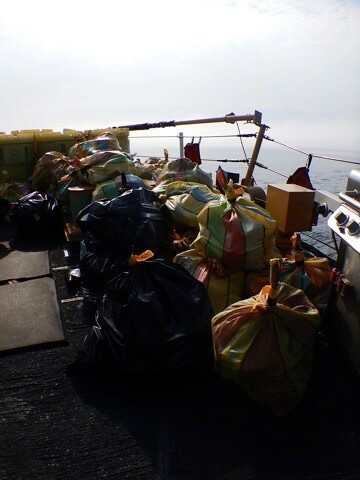 Coast Guard photo by Petty Officer 3rd Class Connie Terrell. Capt. 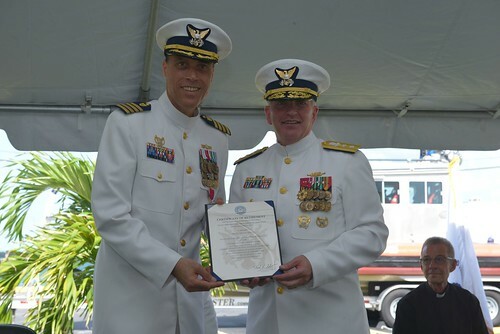 Sean Mahoney, commander of Sector San Diego, presided over the ceremony. 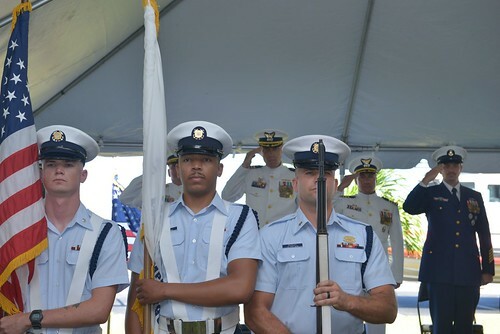 The change-of-command ceremony is a time-honored military tradition deeply rooted in Coast Guard and Naval history. The event signifies a total transfer of responsibility, authority and accountability for the command from one individual to another. 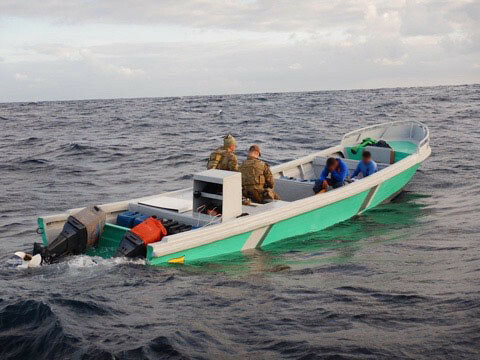 Thank you for your Great Reports and especially abaut CPT Melloy now on St. Louis, as we know him and his superb engagements so well from in Miami.